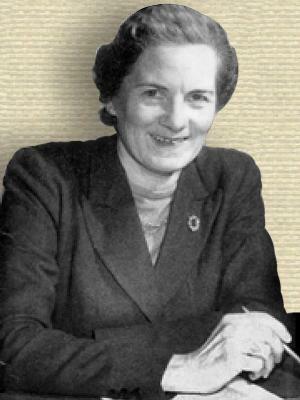 English psychologist, broadcaster and humanist who was a lecturer in psychology who became renowned for two talks (1955) on BBC radio in which she suggested that moral education should be uncoupled from religious education. Public opinion was strongly divided. In a Dublin hospital, many years ago, it was noticed that the death-rate was markedly higher in the ground-floor wards than it was in the wards upstairs. This fact was commented on in an official report, and marked down as requiring investigation. Then it was discovered that, when new patients came in, the porter of the hospital was in the habit of putting them upstairs if they could walk by themselves, and downstairs if they could not. From 'Figures Can Lie', Science Digest (Sep 1951), 30, No. 3, 53. (As condensed from The Listener). Excerpted in Meta Riley Emberger and Marian Ross Hall, Scientific Writing (1955), 407. Statisticians tell us that for many years the death-rate from cancer has been slowly but steadily rising: and not unnaturally, many people conclude from this that for some reason or other we are becoming more susceptible to cancer. Actually, that conclusion does not follow at all. The rise in the cancer death-rate is probably due entirely to the fact that other causes of death have been reduced. Numbers of people who, if they had been born a century earlier, would have died in their twenties of typhoid or smallpox, say, are now living on into their seventies and dying of cancer.